2018 is now here and phase two is flying along. The blockers are back on site working their way up to the first floor. Drainage is all in and services brought across to the houses. We are well on track for our rental target of the late May for our one bedroom apartments and three bedroom disabled friendly house. Hazel will shortly be loading the information onto the Ocean Reach website. 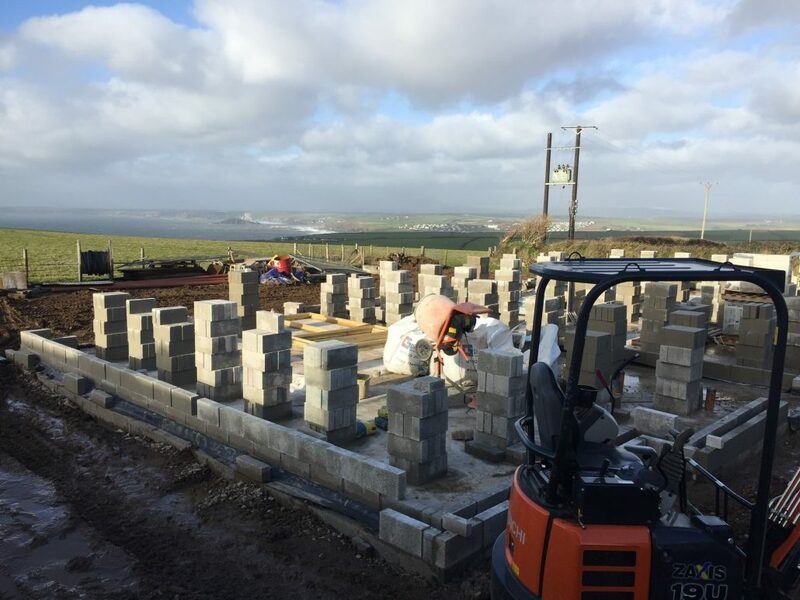 The 3 bedroom full residential house is featured on the website but we are not really pushing it as its value is becoming more apparent as it takes shape. Viewings of our last few two bedroom houses has been strong over the festive period with two more since New Year and one today! We have celebrity interest in one of the houses as they have fallen in love with the amazing location and love the idea of Oceans Restaurant on their step! We now have Ocean Reach Three for rental and it is occupied for a large part of this month already, with the first arrivals loving it so much they have booked Christmas! Oceans is now closed until the 8th February however the team are not sat with their feet up, but organising menus, sound acoustic deadening, blinds and a new Oak bar top! Our Vision has truly become a reality and with the craftsmanship (and craftswomenship) of WM Construction SW Ltd we are set to be credited as a world class destination and inspiration to others. Our owners so far have also enhanced this project with more great people to follow! Here we go again with WM Construction (SW) Ltd Phases two express!